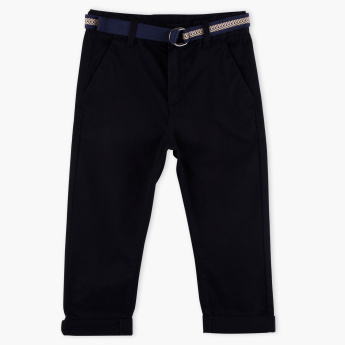 Give a smart look to your little boy with this pair of full-length pants that come with a belt. It highlights pocket detail that adds to its interest. 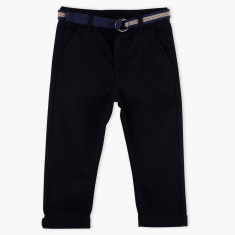 Tailored from a soft fabric, these pants lend a snug fit to your mischievous boy.